Sean Spicer: I Haven't Seen Trump Naked [VIDEO] - Joe.My.God. Kimmel reminded him of how his tenure began: awkwardly backing up President Donald Trump’s claim that his inauguration crowd was the biggest ever, when photographic evidence proved otherwise. “Why is he so concerned with size?” asked Kimmel. 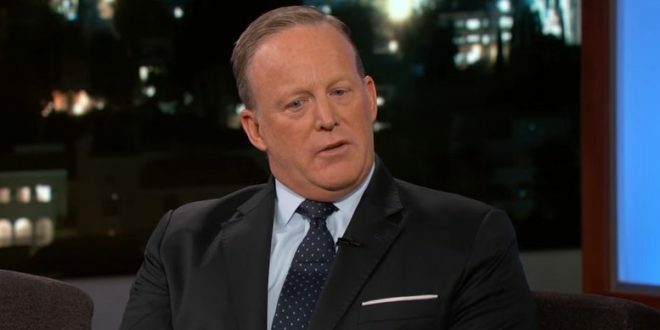 “Have you ever seen the president naked?” “I have not,” Spicer replied good-naturedly. Previous Ann Coulter: Who DOESN’T Want Trump Impeached?